Inspired by unique super powers, these Barbie Hero Dolls are powerful and fashionable! 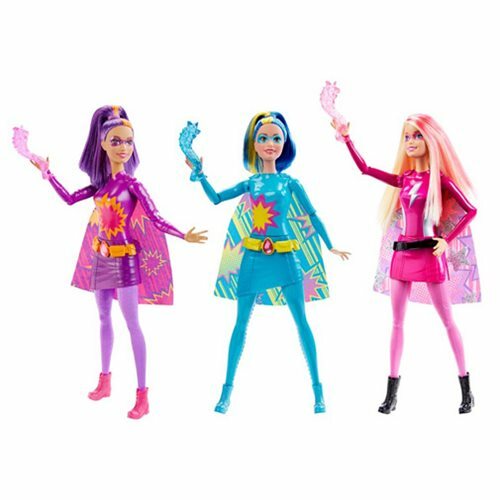 These Barbie Hero Dolls use fire, water or power and include bold designs, bright colors and matching capes. Each doll comes with super fun accessories that highlight their super amazing powers. Collect them all to create your own super adventure! Ages 3 and up. This Barbie Hero Doll Case includes 4 individually packaged dolls.